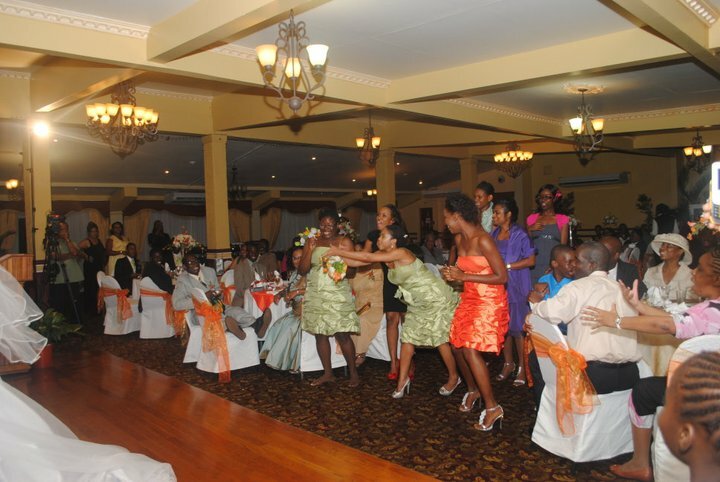 On August 12, 2011, I was fortunate enough to travel to the lovely island of Trinidad to fulfill my duties as bridesmaid for one of my cousins. In addition to the hot weather, I had the opportunity to enjoy late night girl talks, scenic limo rides, and that great walk down the aisle. But then the amazing part happened. The beautiful bride made a call for the single ladies to fill the dance floor. Of course, some were reluctant. However, three bridesmaids and five friends decided to be a sport and join in the festivities. Within minutes, the song Single Ladies was jumping through the speakers and I found myself lunging for that floral prize that promised a ring on my finger in the near future. It paid off. Coincidently, at another wedding during the summer my intended caught the garter belt. Little did I know, it was meant to be. Now some may argue that it wasn’t the bouquet that lead to my proposal, but the combination of my catching the bouquet and his receipt of the garter belt. Others may say that I just got lucky, and my cousin’s bouquet was just magical. Regardless of the reason, there was no denying that I caught the bouquet in August and four months later I became an engaged women. So girls if you truly want to get engaged, you better dive for that bouquet like there’s no tomorrow. And to be on the safe side, make sure your hubby of choice does the same for that garter belt. Needless, to say I will NOT be striking the wedding activity from the day when it’s time to celebrate the sharing of nuptials with my best friend.